Warmer weather is on the way.........I can feel it in the air. With the onset of spring, our toes can be set free from socks and boots. In celebration of the upcoming event, I went shoe shopping to show you what seems to be trending. 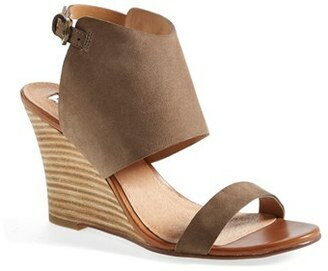 This Suede leather Franco Sarto block heel sandal comes in several colors.... one for every look. I found the wedge sandal to be popular again this year. 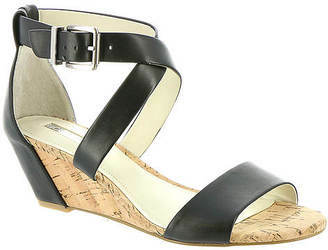 This leather wedge sandal from BCBG can be dressed up or down. Valentino grained leather d'Orsay espadrille sandal. This HALOGEN sandal with the slender strap across the toe and an open back shield cuff make this suede or leather stacked heel sandal a standout for sure. Trending today are the wraparound ankle straps. 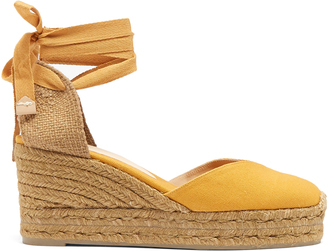 Castaner's has created this canvas beige plaited espadrille wedge heel with wraparound ankle straps. I remember having a pair of Keds as a kid with long wrap straps that I would lace up my leg. Boy was I "hot"! 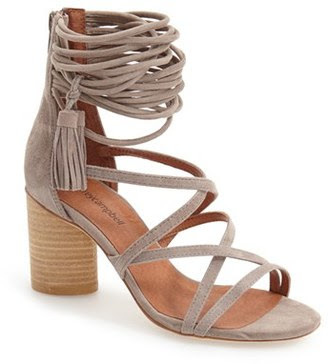 Steve Madden created this half-moon heel suede sandal with crisscrossing toe straps and wraparound ankle ties. RIZZAA created this soft suede casual sandal with its block heel and ankle ties. 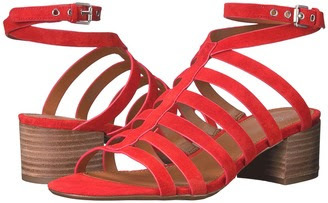 This smooth leather Rebecca Minkoff sandal is nearly flat with slim lace-up ties and fun colorful tassels. These would add pizazz to any outfit. This JEFFREY CAMPBELL round block heel sandal is a definite standout with its strappy suede ankle detail and tassel embellishment. Hopefully this puts some enthusiasm into your shoe shopping. 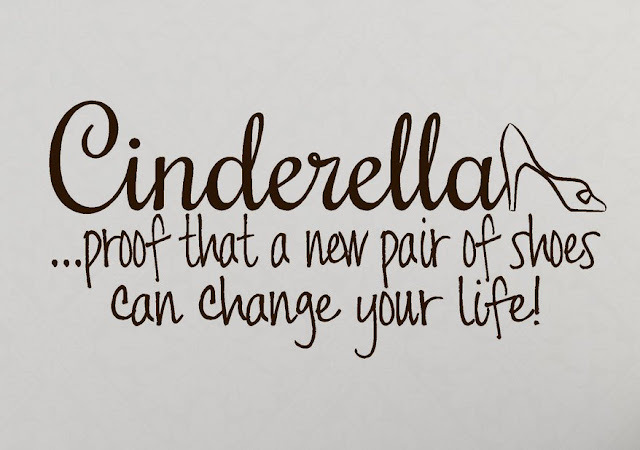 WE all NEED and DESERVE a new pair of sandals. Think of it as a reward for enduring the cold months!